The search engine giant, Google Inc (NASDAQ:GOOG), was the top choice of users of Glassdoor this year followed by Bain & Company, Inc. However, the bigger surprise was the fact that Twitter Inc (NYSE:TWTR) lost its place from being second last year to not even in the top 50 best companies to work at. The employees of Twitter Inc (NYSE:TWTR) have mentioned instability of plans and shuffle in leadership as important factors leading to the downfall of the micro-blogging site. Further, some employees have indicated lack of proper communication between the employees and company’s top management as another prime motivator in the rankings. The micro-blogging site has several challenges in front of it including slowing growth rate and continuous decline in share prices. 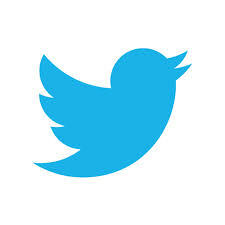 The shares of Twitter Inc (NYSE:TWTR) are trading at $36.35 with more than 42% decline in its share prices year-to-date. Google Inc (NASDAQ:GOOG) was the top company in Glassdoor’s list with rating of 4.5 and technology companies dominated the list bagging 14 positions in the top 50 list. Some of the other companies in the list excluding Google Inc (NASDAQ:GOOG) included Apple Inc. (NASDAQ:AAPL) and Facebook Inc (NASDAQ:FB).